It’s getting hot, so it was time to make a little helper to keep the epoxy cool. 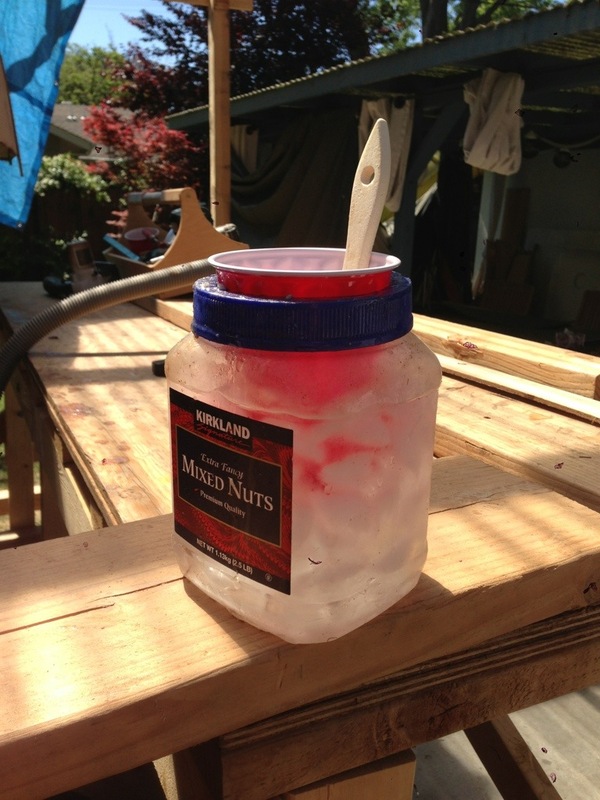 Super easy nut container with red cup sized hole cut in the lid. Fill with ice and water and Bam! Epoxy is cool. This saves me so much in wasted time and epoxy. I can still mix 3x batches of marine epoxy without losing half a batch because it kicked off and melted the cup right in front of my eyes.